Thanksgiving weekend shopping used to be about waiting outside stores for Black Friday stampedes to begin. This year, shoppers didn't wait — they shopped online all week, with purchases peaking right after Thanksgiving dinner, Salesforce data shows. For the first time, mobile dominated online Thanksgiving Day purchases. Digital revenue generated on Thanksgiving Day is up 18% year over year (YoY), with 15% more orders placed on mobile phones, further solidifying the US holiday as one of the top shopping days of the holiday season. The biggest Thanksgiving stats? Mobile traffic to retail sites reached 68% and shoppers placed more orders on phones than computers for the first time at 54%. 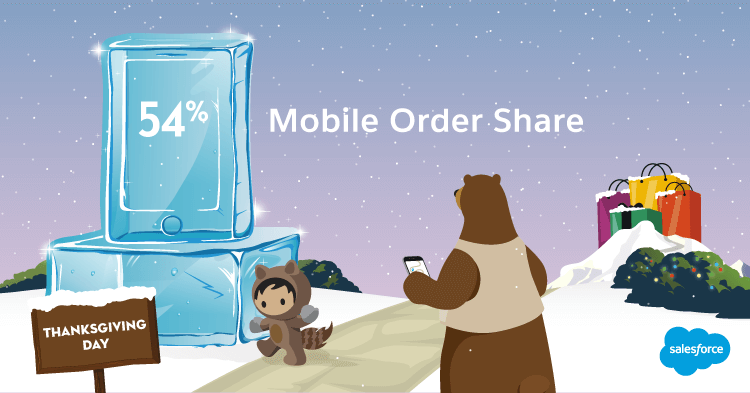 This is the highest rate of mobile order share recorded in 2018. Thanksgiving kicks Cyber Week into high gear with shoppers ready to act early and retailers happy to meet the demand. Thanksgiving day traffic to digital sites rose 11% YoY. But shoppers weren’t there just to browse. Revenue generated on Thanksgiving increased by 18% YoY. This year, marketers also recognized the urgency to get off to a fast start, as SMS and push notifications increased 159% YoY and email sends increased 26% YoY. *All times are normalized across time zones. 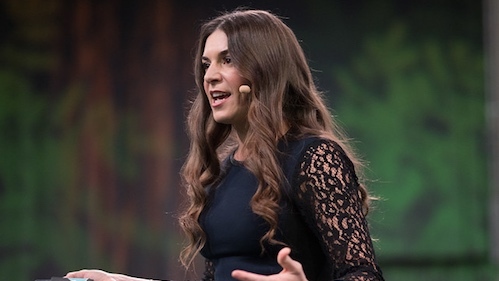 Shoppers turned to social for inspiration and discovery. Traffic coming from social channels grew by an incredible 41% YoY. But they weren’t just browsing; consumers turned to social to share what’s hot with their network. Early holiday buzz indicates that these products and brands were top of mind for this year’s Thanksgiving shoppers. Stay tuned for our Black Friday and Cyber Monday flash report coverage during Cyber Week. Text FLASH to 38767 to receive updates directly to your phone (Note: message and data rates may apply. US carriers only.) or visit our holiday insights hub for all the latest Thanksgiving stats and trends. And don’t forget to mark your calendar for the next episode of Retail Reality Check, on Facebook Live and Twitter, Tuesday, Nov. 27 at 4 p.m. EST for a live Cyber Week recap with our experts. To help retailers and brands benchmark holiday performance, Salesforce combined data-based holiday insights on the activity of more than half a billion global shoppers across more than 30 countries powered by Commerce Cloud, billions of consumer engagements and millions of public social media conversations through Marketing Cloud, and customer service data powered by Service Cloud. 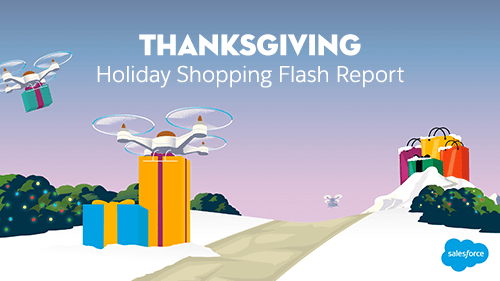 These holiday flash reports are a derivative of the quarterly Shopping Index. See our Cyber Week stats summary in the Salesforce Newsroom.